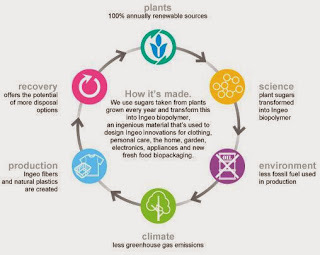 Polylactic acid (also referred to as poly lactic acid, polylactide, or PLA) is a biopolymer made from renewable resources such as corn starch and cane sugar. It is biodegradable in a commercial composting environment and has a broad range of applications, including: textiles, furnishings, medical devices, food packaging, and more. This article is going to focus exclusively on polylactic acid as it relates to food packaging and food packaging products. PLA products are typically clear and look and feel very similar to typical petroleum based plastic products. Traditionally the products have been weaker and more brittle than petroleum-based plastic products (e.g., a hot cup coffee lid could crack or tear when being placed on a cup) but recent manufacturing advances have brought overall strength of these products in line with petroleum-based plastic products. Unless specifically noted most poly lactic acid food packaging products are meant strictly for cold food and beverage and have a maximum heat tolerance of 110 degrees Fahrenheit. Many product manufacturers offer custom printing on PLA products and thus the PLA can be colored. To make polylactic acid, field corn is harvested and broken down into its various component parts, one of which is corn sugar or dextrose. Dextrose is then fermented and distilled into a substance called lactic acid, and lactic acid is than converted into PLA. Natureworks is the leading commercial manufactuer of polylactic acid. Natureworks is an independent company wholly owned by Cargill, the international producer and marketer of food, agricultural, financial and industrial products and services. Natureworks produces a PLA polymer under the brand name Ingeo™, and this Ingeo™ resin is what’s found in most polylactic acid food packaging products today. Naturework’s manufacturing facility is located in Blair, Nebreska and has a production capacity of 300 million pounds per year. Food packaging applications of polylactic acid include compostable: cold cups, lining for hot cups, portion cups, deli containers, clamshells, cutlery, straws, bags, and more. Typically, manufacturers purchase the Ingeo resin from Natureworks in the form of pellets. 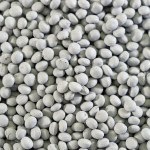 Polylactic acid pellets are then melted and used to shape a range of food packaging products. Leading manufacturers include: EcoProducts, Nature Friendly, World Centric, Asean, Fabrikal, Solo, Pactiv, and more. 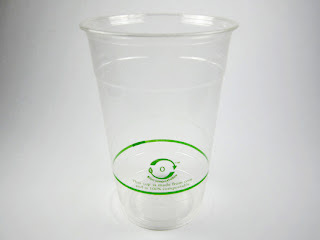 As stated, PLA is also fully compostable and thus when composted results in zero waste. 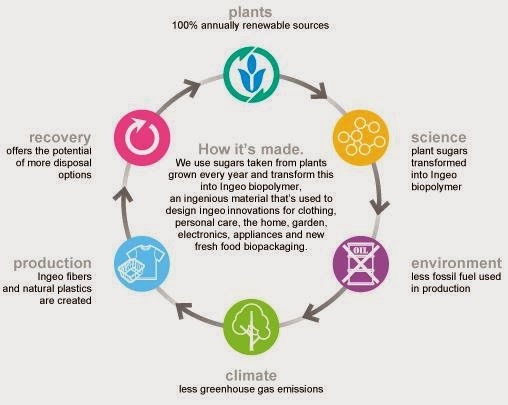 The Ingeo™ brand of PLA has been certified to be free of any genetic material by GeneScan Inc. (the leading international authority for testing food, feed and raw materials). Ingeo™ does not contain genetic material, and its production does not require any genetic content from field corn. You can download the full life cycle analysis of Ingeo™ for more. Have you used PLA or polylactic acid products before? Tell us about an experience you’ve had. Plastic has as of late been a well-known subject of wide open discussions. The discourses have predominantly centered on the natural risks of plastic, albeit plastic has numerous ecological benefits as well. I am also seeing mostly plastic raw materials wholesaler working on it. Imoldmaking Company is a plastic injection molding manufacturer. We are custom plastic, silicon, rubber, prototype, food container, polypropylene, PP and PVC injection manufacturer. We use 2k molding used in many materials to produce complex molded parts.